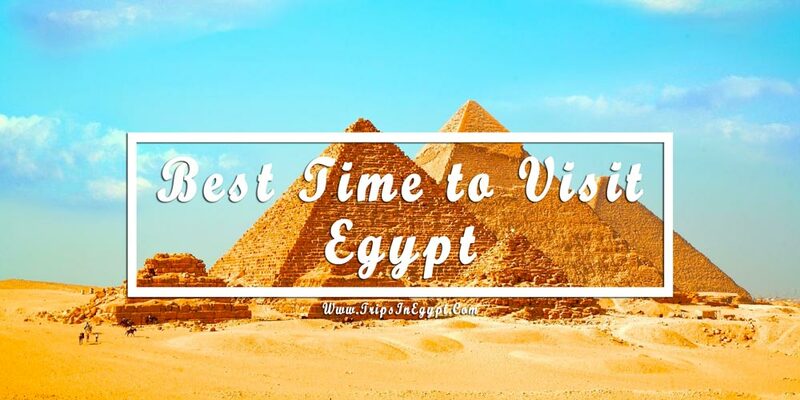 Best time to visit Egypt one of the most common questions that many travelers prefer to ask before traveling to Egypt and this article we will explain every detail and all what you need to know about the best time to visit Egypt. Egypt is one of the best tourist destinations in the world because of the glory of its unique landmarks with the lines of history depicted in every single inch of its lands. Define the true concept of uniqueness while visiting the land of Pharaohs to experience the majestic Pyramids, temples, tombs, Museums, bazaars, and all of what you may need to have the vacation of your dreams. You may wonder what the best time to visit Egypt is. And what are the festivals & celebrations that you can visit during each season and through our article, we’ll present all of the detailed information about that. Egypt’s climate varies from cold to hot weather as you’ll see along the northern coast of Egypt. The climate in Egypt from December through March is usually cool, humid, and windy with occasional rains. From June through September, you can witness summer which is mainly dry with hot temperatures. 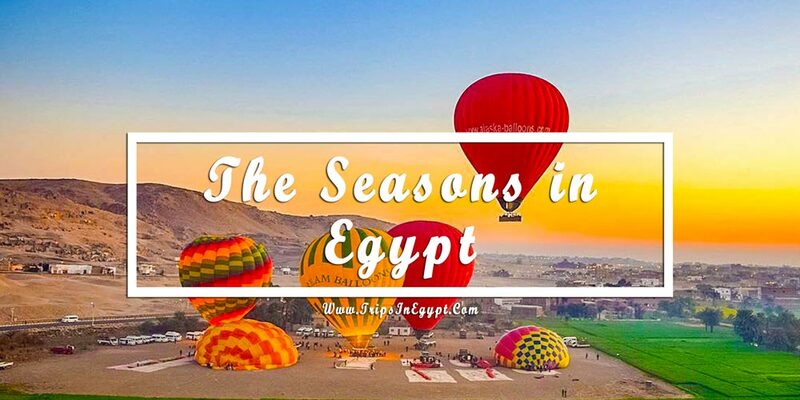 In order to spend the best trip in Egypt, you may want to travel in the seasons of April-May & October- November, which is considered the most convenient months to head to Egypt. In Egypt, from the middle of October till the middle of May is highly considered the best time to visit Egypt which is the period between winter & spring. Winter in Egypt is generally warm not so cold and that is why tourists love visiting Egypt during that time to be able to enjoy the most while touring the tiptop Egyptian destinations. 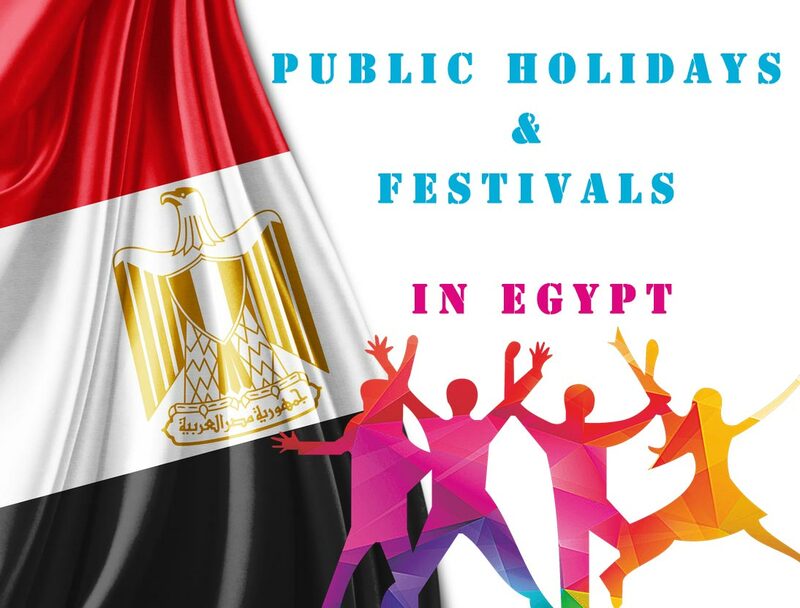 During these two seasons, you’ll be able to witness the high season in Egypt that includes the most favorable festivals which are Christmas & easter periods. Mother’s Day on March 21st, Sham El-Nasim in April, Sinai’s Liberations Day on April 25th, and the Labor Day on May 1st. Summer in Egypt is closely associated with high temperature as the heat may reach 40 °C, and sometimes it may reach 50 °C. It is a hot period from July till the end of September. It is the best time to visit Egypt through booking Egypt classic tour packages as during that season, and to be more specific from October through November, the temperature reaches 30°C and water becomes warm which makes it an amazing period to head to the coastal beaches of the Red Sea to enjoy the spectacular views in a very relaxed way. Winter also the top time to visit Egypt which during that season, weather temperature never goes below 20°C and it is sometimes windy but rather than this, everything becomes suitable to have a vacation of your dreams. Sharm El-Sheikh for many tourists is much better than Hurghada during winter. December is a truly peaked season in Egypt because of the Egypt Christmas and the New Year vacations. 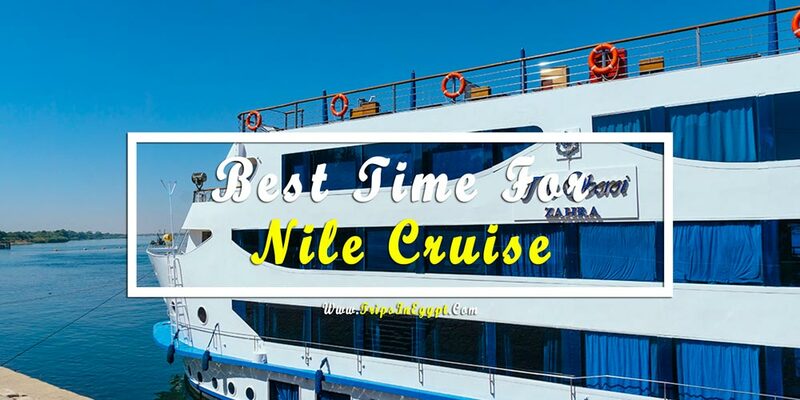 As a traveler touring the tourist sites in Egypt, you may want to know what the best time to board Egypt Nile cruises is and here is the answer: The period between October and April is considered the best time to travel to the most exquisite attractions in Luxor & Aswan. It is not recommended to travel from June through August because of high temperatures. While boarding Nile cruises in Egypt, you’ll be able to visit the most notable attractions of Luxor including the fabulous temple of Queen Hatshepsut, Valley of the Kings, Colossi of Memnon, Dandara & Abydos temples in addition to having the opportunity to head to the East bank of Luxor to see the incredible highlights there including Karnak temples with its majestic sound & light show besides witnessing the celebration that is held daily in Luxor temple by night. In Aswan, you will visit the adorable highlights there including Aswan High Dam, the unfinished obelisk, Philae temple, Edfu & Kom Ombo temple, and the fanciful Abu Simbel temples that are visited by the majority of tourists to visit there the two marvelous temple built by Ramesses II. The average of temperatures in the Red Sea Coast varies in a great way. In case of humidity, temperatures become hot for about half of the year and otherwise nice with a very low chance of rain throughout the year. The ideal weeks for their weather are from November 5th through April 15th. The hottest months are August, July, and then June. The early of August is usually the warmest time where highs are regularly around 102.5°F (39.2°C) with temperatures rarely dropping below 83.6°F (28.7°C) at night. So if you admire to spend a vacation on the Red Sea, then our Egypt Red Sea tours provide magical trips to the best resorts in Hurghada, Plus enjoy splendid trips to the highlight of Egypt, Check it now. Through that time, you’ll have a greater chance to have a closer look into the Egyptians’ traditions & customs through celebrating with them. In the morning of Eid El-Fitr, Muslims in Egypt wear their new clothes and head to Masjeds for praying and then children come together playing & doing some cheerful activities, heading to gardens, so you’ll be a very lucky person to witness such a unique Egyptian festival while your visit to Egypt. This is a truly special event in Egypt as every year; Muslims celebrate the sacrifice which Ibrahim did instead of killing his son Ismael. Egyptians start sacrificing sheep in the early morning of that day following the tradition of Ibrahim. Coptic Christmas & Easter are both national holidays. On January 7th, Egypt witnesses the Coptic Christmas which is mainly depicted in Christmas trees, Santa’s clothes, Christmas Gifts, and a lot of other incredible things that can be held through Egypt Christmas holidays 2019. Coptic Easter in Egypt is another unforgettable occasion that allows you to witness the beauty of the natural views in Egypt while enjoying the best weather of the year. Egyptians usually head to gardens to celebrate Sham El-Naseem with their families and you can also enjoy all of those trips through Egypt Easter holidays & Egypt Easter tours. That is not all is on February 22nd and October 22nd, you shouldn’t miss the chance of witnessing one of the most impressive Pharaohnic miracles that occur twice inside Abu Simbel temples that are known as Abu Simbel Sun Festival. During that festival, the three statues inside the great temple of Ramesses II are lighted up in the early Morning with the sun’s rays in celebrating his coronation and his victory in the battle of Kadesh.